I bought this bubble skirt about 6 years ago and I found it while the purging of my closet continued this week. I have never worn it cuz I realized I didn't like bubble skirts. I really wish I had known this when I paid $60 for it on sale from $185...(umm this was prior to my thrifting...also prior to me having a house and a husband) anyway...I realized..why the heck would I wear a "BUBBLE"skirt I mean...why would I accentuate my lower half by adding a bubble around it...haha anyway, I might have found a way to wear it that I actually like. 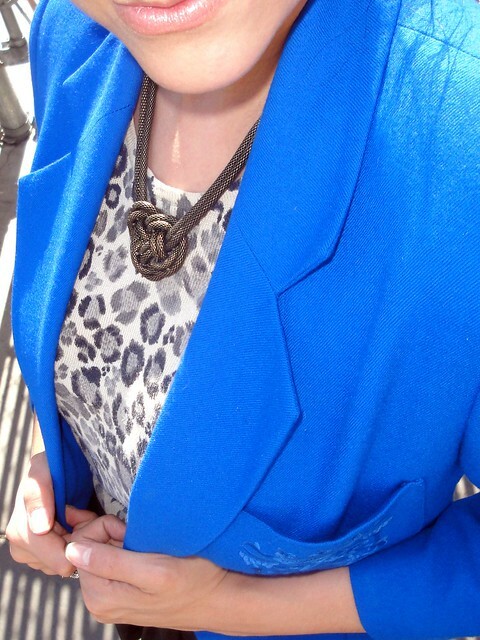 So I have worn this jacket before, but I am just loving this color right now...there is this darling boutique next to my office that I got it from and there is a $5 rack! I posted some of my newest finds last week when I went on my facebook page...would love to see pics of your finds or boutiques..so like me on facebook so we can get to know each other..and I can secretly write down all of the place you guys go too haha or if you just want to laugh at some of the outtakes from our photoshoots! Well, It's been a long week...and I am EXHAUSTED! I can't wait to show you guys some new lipstick we got tonight at Walgreens p.s. they are having a big sale on some of their products..mascara ( I am always trying a new mascara ALWAYS..I don't think I ever buy the same one twice!) and lipsticks..we got some wet N wild Lipsticks for $.69 each! I mean they are not the most highly pigmented lipsticks but they look pretty good. I also got a plumper I will let you know how it worked! Ok, It's Friday and I am spent. Have a great end of the week! The color of that blazer is fantastic!! You are lookin so fly in this blue! I love it! You look lovely! 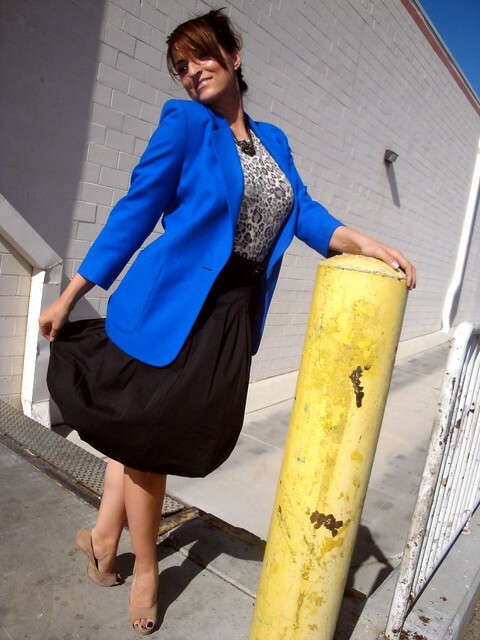 the balloon skirt looks great on you and your blazer is to die for! very nice styling from you and very sweet blog! 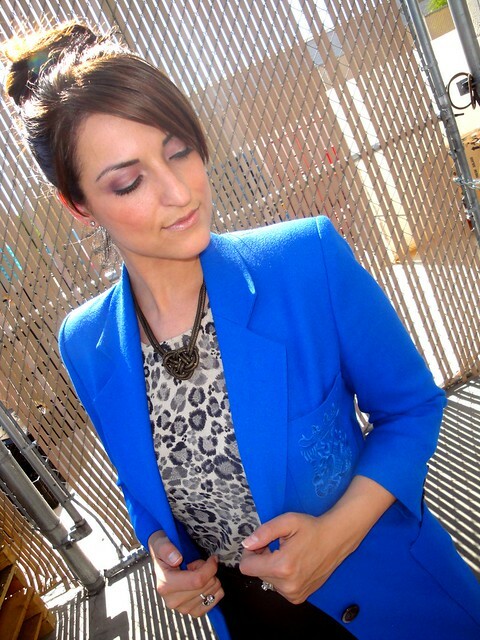 Love the blazer, great find!